In 1999, Spokane House of Hose purchased a local power tool and compressor repair company with over 20 years of experience and renamed it… Air Electric Tools. 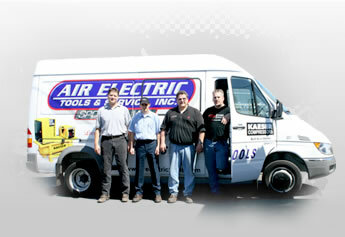 In 2002, Air Electric Tools moved into a larger facility, expanded its sales and service force and added mobile/on-site repair service. Today, armed with a team of factory-trained technicians, Air Electric Tools is dedicated to providing competitive pricing and superior service before, during and after the sale.